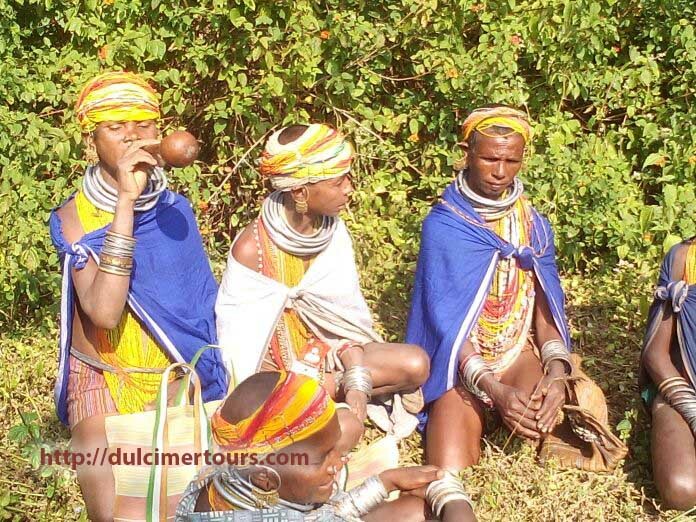 Tour Destination: This programme has special designed, which explore the culture, Heritage, spiritual touch with wildlife. which includes three world heritage Monument ( Bhimbetka, Sanchi & Khajuraho), Historical and Heritage cities like Bhopal, Ujjain and Mandu etc , holy ( Yotirlinga place) like Mahakeleswar at Ujjain, Omkareshwar, and one of the famous tiger sighting place like Bandhavgarh( chances of tiger sighting is 99% at there), nice hill station of central India – Panchmarhi with the great culture of Gond, Baiga, Bhil and Bhilalal tribal group and their non tourist isolated village. Upon arrival Delhi there are connected train from NewDelhi and Hazrat Nizamudhin railway station to Gwalior , which is 4 to 5 hr ( in the different times of whole days, our representative help you to board the train for Gwalior). Upon arrival Gwalior railway station meet our representative and transfer to hotel. Or there are flight from Delhi to Gwalior too. Afternoon visit the Jai Vilas Mahal, Moti Mahal, Teli Ki Mandir and also excursion the Ancient Tirthankaras statue in Gopchal Parvat built by Tomar Kings in 1398 to 1536 AD. Overnight at the same hotel at Gwalior. Proceed to Orchha , enroute visit the Famous Datia fort built in 17th c AD by Vir singh deo heritage walk in the old town area of Datia and then proceed to Orchha, check in a nice hotel Orchha. Morning sight seeing of Orchha – sesmahal , fort , palace and then proceed towards to Khajuraho. Check in a nice hotel at there. During evening enjoy the classic dance of India (Kathak) at Gurukul. Morning visit the famous western group of Temples and excursion the language of ancient love and Romance on the temple wall (world heritage site by UNESCO). After noon visit the eastern group of temple tours . Evening enjoy the light and sound program in the western group of temple premises. ( ticket should be booked in advance). Morning after breakfast proceed to Bandhavagarh National park– famous for wild tiger on nature with lots of herbivorous. Check in a nice resort . Afternoon meet the wild tiger on nature while on open jeep safari. Am/ pm- 2 open jeep safari at this national park and meet the wild animals including tiger. 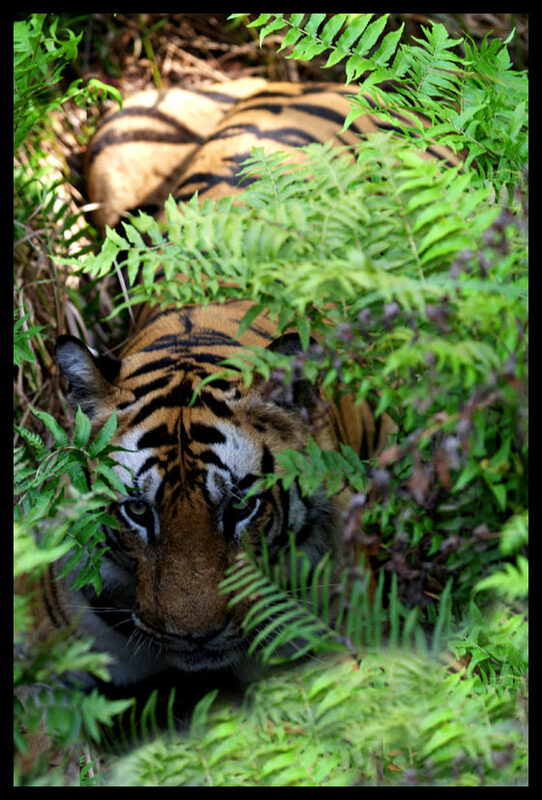 Due to deciduous forest and density of tiger population is more it is more chance to sight wild tiger on nature. Meet the famous ethnic group of central India Gond and Baiga tribe at their isolated non touristic village and excursion their life style. Check in a clean comfort hotel at Dhindori. Morning proceed to Jabalpur, check in a nice resort near Bedhaghat. Relax to eat candle night dinner outside in the garden . Early stand up for catamaran boating on Narmada river along with marble mountain and visit the Dhuandhar waterfall, after breakfast check out and departure for Panchmari. Panchmarhi- the only hill station in satpura hill range in central India. Enjoy the mouth watering picknic breakfast at befall ( famous waterfall) afternoon enjoy the nature on the lake site and visit the magnificient sun set point on the top of the hill station. Overnight at the same nature resort. Morning proceed to Bhopal enroute visit the famous Pre- historic rock selter and rock painting at Bhimbetka ( world heritage site- by UNESCO) , and excursion the Paleolithic , Mesolithic and Neolithic age of pre-historic painting evolution. Check in a nice hotel in Bhopal. Morning drive towards Sanchi , visit the great Sanchi Stupa ( world heritage site-by UNESCO) , visit also Udaygiri rock cut cave- 4th c AD. Afternoon walk near Tajrul hak mosque ( one of the tallest mosque in India) daily bazaar area , where the people are very hospitality and humble. Morning proceed towards Ujjaini , check in a clean – comfort hotel at there and visit the famous Mahakaleshwar temple ( one of the famous shiva temple out of 12 yotirlingam), also visit the Harshidhi temple, bada ganesh temple and early evening join the holy arati of river Shipra. Meet the Bhil and Bhilalal Tribes at their isolated non tourist village and enjoy the traditional hygienic picknic lunch at their village ( but not mandatory). Morning proceed towards the summer capital of ancient Madhya paradesh – Mandu Upon arrival at there check in a nice hotel on the side of lake. Afternoon visit the eco point and Baz Bahadur and Rani Roopmati palace. afternoon visit the champa Baoli, Dilawar Khan’s Mosque, Nahar Jharokha, Gada Shah’s shop and house, and taveli Mahal and also ashrafi Mahal, hati Mahal and Dariya Khan’s Tomb etc. Departure for Maheshwar boating on Namada river and excursion the Ghatlife near Maheswar palace , visit the Ahilyaswar temple ( built by Queen Ahalyabai holkar) heritage walk over there and also visit the Rehwa Weavers’ society . traditional lunch at a particular age old restaurant ( hundred of years it run by society) – but lunch is not mandatory it depend upon your choice. Than proceed to Omkareshwar , check in a nice river view resort at there visit shri Omkar Mandhata temple on the island houses on of the twelve Yotirlinga. Visit also Siddhanath Temple of 10th c AD. The 24 avatars, a cluster of Jain Temples and the Satmatrika temples. Note-If one can continue from Omkareshwar to Burhanpur then Aurangabad/ and visit Ellora, Ajanta world heritage site then to Nashik and Mumbai by road and then to departure from Mumbai towards onwards destination. Note- 23rd Feb. to 2nd March 2018 there are Bhagoria Festival in Bhil / Bhilala tribe where the young unmarried tribal couple choose their life partner to offering sweet betel leaf and gift , which is very colorful to see this festival in the region of Jhabua and Alirajpur area. Or one can reverse the program from Indore and concludes at Gwalior than to Delhi for your onwards destination.